Sleep apnea symptoms may reveal oxygen deprivation due to snoring. 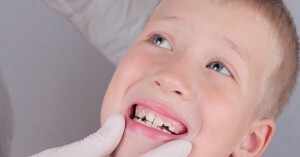 The first signs may show up in a dental exam. I’d like to tell you about my patient Brian. He is 48 and works a stressful job managing a large property business. Brian is overweight, has type II diabetes and high blood pressure. The reason why Brian has booked an appointment is because of his wife, Leanne, did just that. She sent Brian for a dental exam because of his loud snoring. Leanne often notices Brian sleeping with mouth open and snoring. She also notices that he stops breathing. It scares her when this happens. He also has problems with his teeth, and she thinks they’re all connected. She has to wear earplugs to sleep better. She often hears Brian gasping for air and thinks he has a lack of oxygen. It’s frightening because she doesn’t know if he’ll start breathing again. Brian won’t admit it in front of her, but he knows his wife is right. (Deep down, men always they know their wife is always right.) And in this case, Leanne is exactly that. He’s been experiencing sleep apnea symptoms for a long time now. Brian has avoided going to the doctor. The last few years he’s had some serious health concerns. Leanne finally convinced him to find out why. Her fears were confirmed, and he is not in good shape. Brian is now taking medications to manage his diabetes, blood sugar, and blood pressure. But recently Brian has reported lapses in memory and mental sharpness at work. He’s tired all the time, often needing to take a nap in his office. He’s stressed and concerned that it may cost him his business. Brian’s dental exam reveals that he has moderate to severe gum disease. Some of his teeth have gum recession and are beginning to become mobile. Brian’s situation is very typical. Many men at Brian’s age present in this way to the dentist. But Brian’s sleep is the critical factor here. Sleeping with his mouth open and snoring may be doing serious harm to his brain. 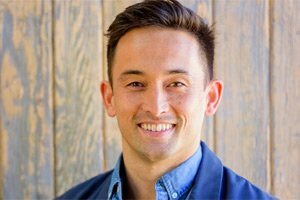 After a referral for a sleep test, Brian is diagnosed with obstructive sleep apnea. Who is at risk of snoring and sleep disorders? All of these points regularly present as sleep apnea symptoms and risk of a sleep disorder. Lack of oxygen can cause sickness all over the body. That’s why it’s crucial to find the reasons for snoring. 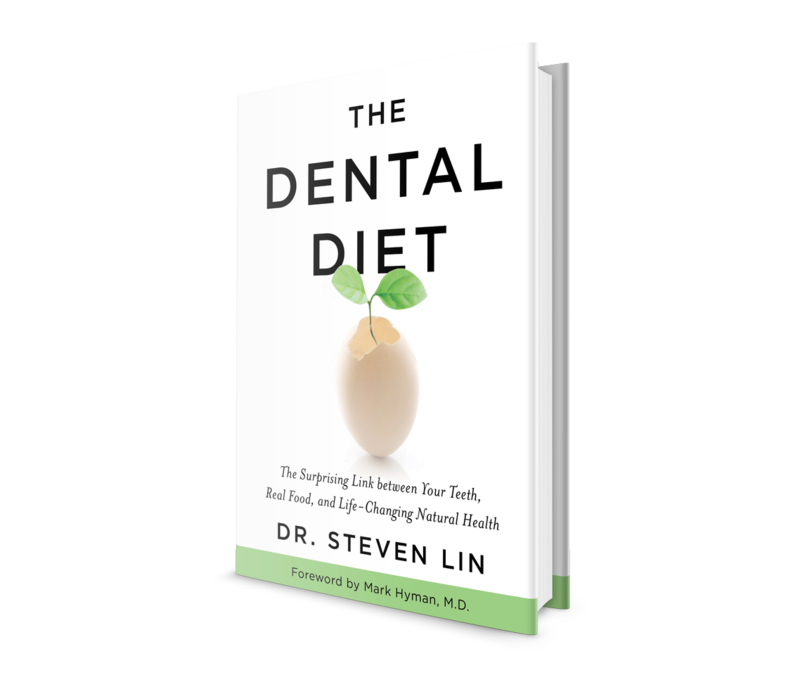 When we use the oral-systemic link, diseases often show signs in the mouth first. As Brian avoids his dental check-up, his reasons for snoring and sleep disorder go unnoticed. My concern for Brian is that he is on a dangerous path. The links between sleep apnea and heart disease are well established by research. Lack of oxygen impairs blood pressure and heart rate regulation. Brian’s high blood pressure and diabetes make him a candidate for a heart attack. Sleep apnea leads to marked changes in the brain. Today, he reports memory loss and signs of brain-fog. His heart disease, found by his doctors means he’s taking medication. But the effects of lack of oxygen due to his snoring on his brain are already on their way. His medications aren’t addressing the cause of his sleep disorder or sleep apnea symptoms. To understand how snoring leads to brain damage, let’s look at sleep’s role in brain health. Your brain is one of the most protected parts of your body. During waking hours, the blood brain barrier is tightly regulated. Its purpose is to protect brain cells from bacteria causing infection. In the day time, the barrier creates a build-up of metabolites and toxins in the brain. At night, your brain needs to go through a major cleaning process. Sleep shuts down the other organ systems that are at work during the day. During sleep, neural cells relax to increase the flow of cerebrospinal fluid (CSF) through out the brain. The purpose is to flush the brain of cellular buildup that can’t escape when you’re awake. It’s a self-cleaning (think like a dishwashing) method that only happens during sleep. For healthy sleep, your body needs one thing, for you to rest, (be still) and breathe. Oxygen keeps every cell in your body running. It includes your tired brain cells that have been working all day. Snoring and lack of oxygen at night may cause oxygen deprivation to the brain. Research has found that sleep apnea disrupts the regulation of the blood–brain barrier (BBB). That means that the normal cleansing process doesn’t work as well as it should. This leads to inflammation and damage to the brain. 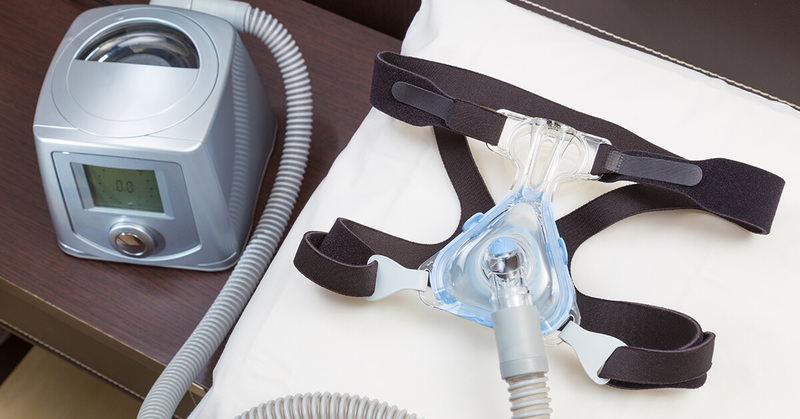 Sleep apnea symptoms may suggest a lack of oxygen to the brain. Over time, the axons (connection cells in the brain) begin to decay, and messages can’t be sent as quickly. Studies have shown that the brain of sleep apnea suffers undergo a marked change. Sleep apnea symptoms link to loss of brain function. Research has found areas of the brain damaged during snoring and sleep apnea. Sleep apnea starves the connections (called as axons) that link different parts of the brain. The cycle has now begun, where the brain doesn’t receive messages and can’t send signals as quickly. If this happens over time, brain damage continues to worsen. 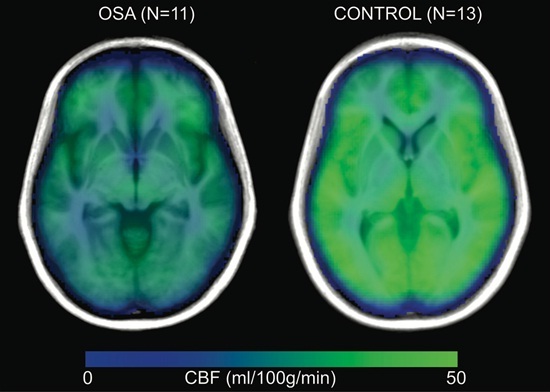 Imaging studies isolate exact brain changes during snoring and sleep apnea. Together, these areas control the body’s deep response of heart rate and blood pressure. The links between snoring, sleep apnea symptoms and heart disease is well established. While there may be direct effects on the heart, damage to the brain may be the mechanism by which heart disease occurs. Sleep apnea is often associated with progressive brain fog and memory loss. People with sleep apnea have a decrease in the size of the hippocampus. It’s the part of the brain that controls short and long-term memory. It’s known to be first damaged in Alzheimer’s disease. Brain imaging confirms that snoring and sleep apnea shrink the hippocampus. These areas can be partially regenerated with CPAP (a breathing assistance machine). Loss of short term memory and general performance are often reported later in sleep apnea. They’re a sign of damage to the mammillary bodies in the brain. They also control odor and smell memories, which are linked to long-term snoring. Mammillary bodies also shrink in heart failure and chronic alcoholism. The same changes have been found in people with chronic snoring and sleep apnea. Brian had sleep apnea symptoms for many years. Changes in the brain happen slowly and indicate long-term disease. His teeth, however, had shown the warning signs of a sleep disorder for some time. A lifetime of snoring and lack of oxygen during sleep end up on a path to severe disease. Brain damage and sleep apnea symptoms control the cycle that leads to further brain damage. As sleep breathing worsens, the body enters a cycle of brain and heart dysfunction. It’s important to find the reasons for snoring or sleeping with mouth open. To identify sleep apnea symptoms, see your dentist or GP today. A sleep and airway focused dentist can identify sleep apnea symptoms. Don’t run the risk of yourself or a partner suffering from snoring related brain damage. 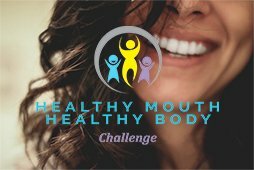 For more information on the mouth-body connection, sign up for my newsletter here. Does someone in the family snore? Leave your experiences in the comment section below. Nice letter. I can’t afford to be too critical because I don’t write a nice blog or newsletter like this. However, I did note a misspelling.